In a faraway kingdom, lived the magic pets that assisted the good wizards in keeping the world in equilibrium and harmony. A great evil sorcerer stole the magic pets and hid them in his dark catacombs. Without the magic pets, there is no equilibrium of forces, and the kingdom is doomed. The council of the greatest wizards has chosen you to bring back the magic pets and restore the natural equilibrium. Download free full version game and save your kingdom! 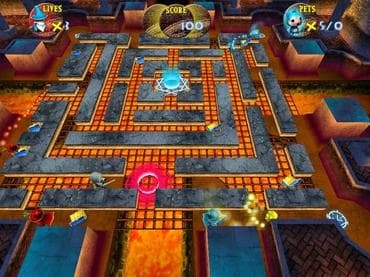 Free Game Features: - Family friendly arcade game; - Amazing graphics and relaxing soundtrack; - Unique power-ups; - Save / Load game option; - Game statistics; - Free full version game without any limitations. If you have questions about Magic Pets game, please contact us using this form.